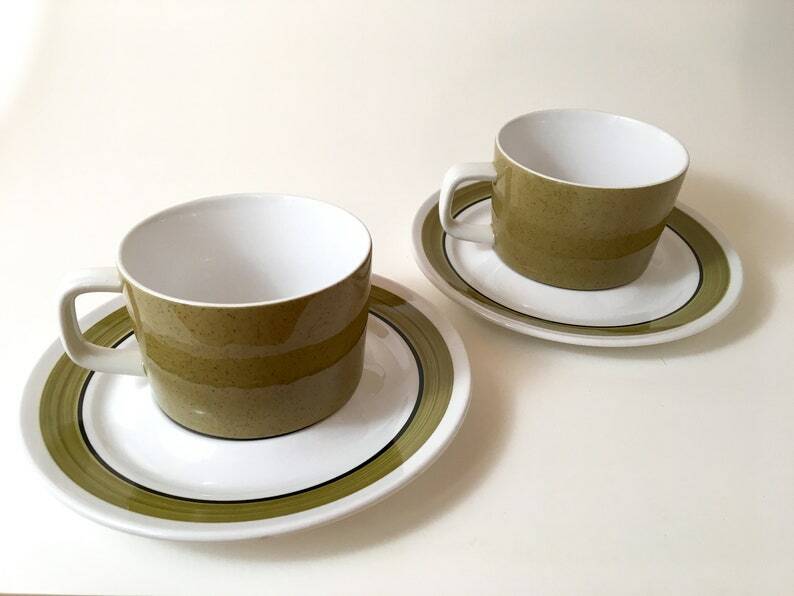 Vintage Mikasa Mediterrania cups and saucers set in Avocado Green and Spanish Moss pattern. Service for 2 includes two cups and two saucers. 6 oz. cups measure 3 3/8" in diameter and 2 3/8" tall. Saucers measure 6 1/2" in diameter.